Pet Planning | O’Drobinak & Nowaczyk, P.C. When you adopt an animal, you take responsibility for the care of your beloved pet. While most people want to be good and responsible pet owners, there is one thing that is often overlooked: your pet could outlive you. While this may not seem a concern if you are younger, the reality is that there is no guarantee of when sickness could arrive or an untimely death could occur. When should pet planning be done? What is involved in pet planning? How can a pet planning lawyer help me? When a companion animal comes into your home or when you own farm animals, provisions need to be made to provide care for your pet in case of incapacity or in case you pass away. Each year, 7.6 million companion animals are surrendered, according to the American Society for the Prevention of Cruelty to Animals. This includes 3.9 million canines and 3.4 million cats. Of those surrendered, 31 percent of dogs are euthanized and 41 percent of cats are euthanized. The older the dog or cat at the time of surrender, the less likely it is the animal will find a new home. Without a plan for your animals, your companions could end up being just another statistic of animals surrendered and possibly killed. Whatever your age, regardless of whether you are single or married or have family you think can take care of your pets, you should have a formal plan in place for your animal’s care. The process of planning for your pet can begin with something as simple as getting a card to carry in your wallet indicating your pets are home alone and designating someone who should be called to provide for their immediate care if you are involved in an accident or fall ill. This is important in case you and the other members of your household are suddenly unable to get home when your pets are alone. This type of plan only ensures your pets are cared for in the immediate aftermath of an accident. You need to work with a pet planning lawyer to make a more permanent plan for your animals in case of death or incapacity which renders you unable to keep providing for them in your own home. Pet owners should name both a guardian and a backup guardian for their pets in order to make certain that the animals will be cared for if the owner is no longer able. Pet owners should talk with the person who they will name as guardian. To ease the burden of assuming pet care, pet owners should also consider leaving a sum of money for their animals. While you could leave money in the will, your animals of course cannot inherit or manage their own money. As a result, you may wish to create a trust to provide for the care of your pet. When you create a trust, you designate a trustee and you provide instructions in the trust document that the trustee has a fiduciary duty to follow. These instructions make clear that the money is to be used for the purpose of animal care. You can even provide very specific details on the types of things the money should provide, such as paying for a specific food or paying for vet care. A fiduciary duty is the highest legal duty owed under the law, so the trustee will make certain the funds are used for your intended purpose. A pet planning lawyer can provide you with advice on the process of naming a guardian and making financial plans for the care of your animals. Your attorney can also help you to make sure you take care of other essential estate planning steps to provide for your animals and for your family members. 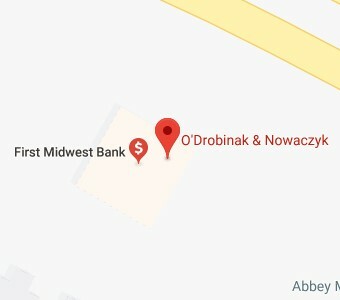 To find out more about how O’Drobinak & Nowaczyk, P.C. can help you with your pet planning process, give us a call at 219-865-2285 or contact us online today.